Dragon fruit is a tropical fruit that contains healthy carbs, iron, magnesium, and hunger-fighting fiber. You can find fresh dragon fruit in autumn and winter or frozen is available year around. 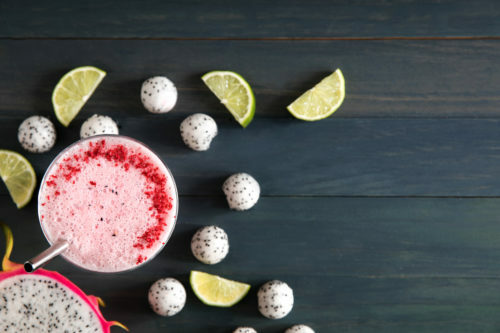 In a blender, combine coconut milk, dragon fruit, raspberries, honey, and lime juice. Blend on high speed until smooth. Pour and serve immediately.